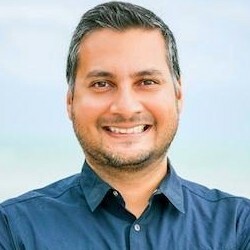 The average conversion rate from email for e-commerce websites dropped in the second quarter of 2013, falling to 3.34%, from 3.56% in 2Q12, according to a recent report from Monetate. Referral traffic from email also declined, falling 26% in in 2Q13 compared with the same quarter last year. However, average order value from email channels was up to $99.93 in 2Q13, from $89.43 in 2Q12. 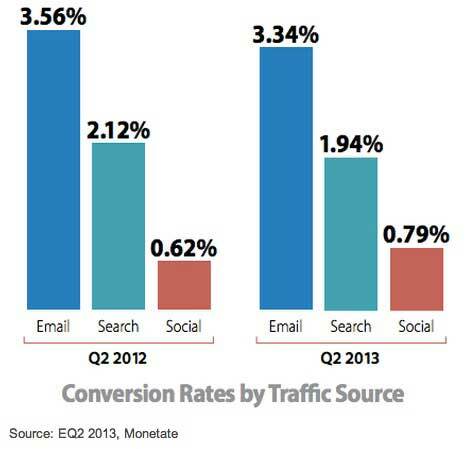 Search conversion rates also dropped (1.94% in 2Q13 from 2.12% in 2Q12), whereas the conversion rate of social increased (0.79% this year compared with 0.62% in the same quarter last year).